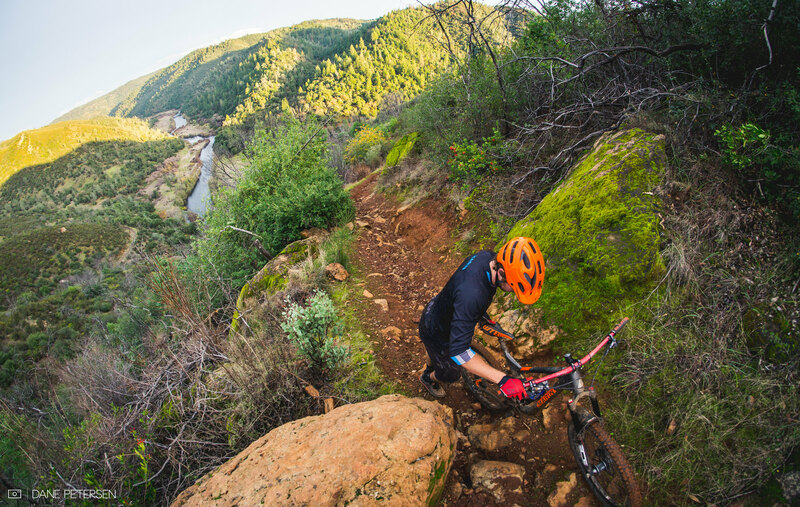 With it’s close proximity to Sacramento, Auburn SRA is a popular destination for mountain bikers, hikers and kayakers alike. Located in the heart of California’s gold country, Auburn SRA offers hundreds of miles of trails throughout the 35000-acre park along the North and Middle Forks of the American River. There is a wide range of trails ranging from the beginner level smooth singletrack to advanced rocky downhills. On my particular ride, I only scratched the surface of the available trails in the park. Although, for someone looking to do all of the technical descents in one ride this route is great! Auburn SRA maps are available at area bike shops for $10. Here’s a photo of mine! There is free and paid parking available on highway 49 at the confluence. As well as a small free parking lot at the top of Stagecoach trail on Russel Road. The best time to ride Auburn is in the Spring and Fall. During summer it can get up to 100 degrees and during winter the trails can get pretty sloppy after a big rain. There is no available water in the park. Make sure to fill up enough water for your ride before getting to the trails! These are multi use trails so be aware of other users on the trails. Auburn Ale House is a great spot for a post ride meal and beer! Hey guys, Heath Sherratt from the Hub Bicycles in Roseville. Was hoping to talk to you guys about the CES coming up in May.